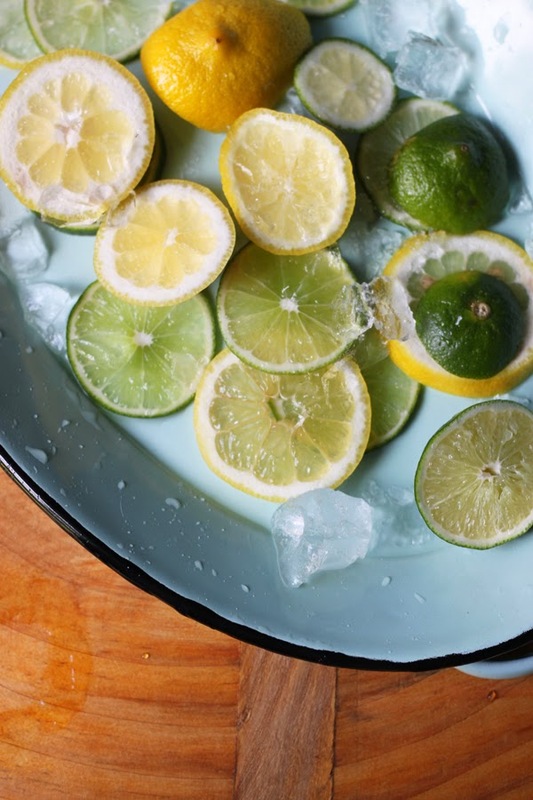 An outtake from this cocktail, er, drink shoot led to a wonderful discovery: It doesn't take more than a few scraps to make infused water. We are all so accustomed to seeing photos of fresh sliced fruit in frosty pitchers - that we think we need the freshest, most delicious fruit to make something refreshing. Nah - just throw your citrus ends, strawberry tops, heck even cucumber peel into water and let them infuse for a few hours. Cheap and easy flavored water - ok that might not be pinterest worthy but will keep you hydrated this summer.